I love this teak and stainless steel toast rack- made by DKF Lundtofte in Denmark. This is mid-century modernism at its best- simple, strong function pieces with no fussy decoration. The one piece steel rack is simply screwed into the [laminated] teak base. And the handle mirrors the rack shape – beautiful! 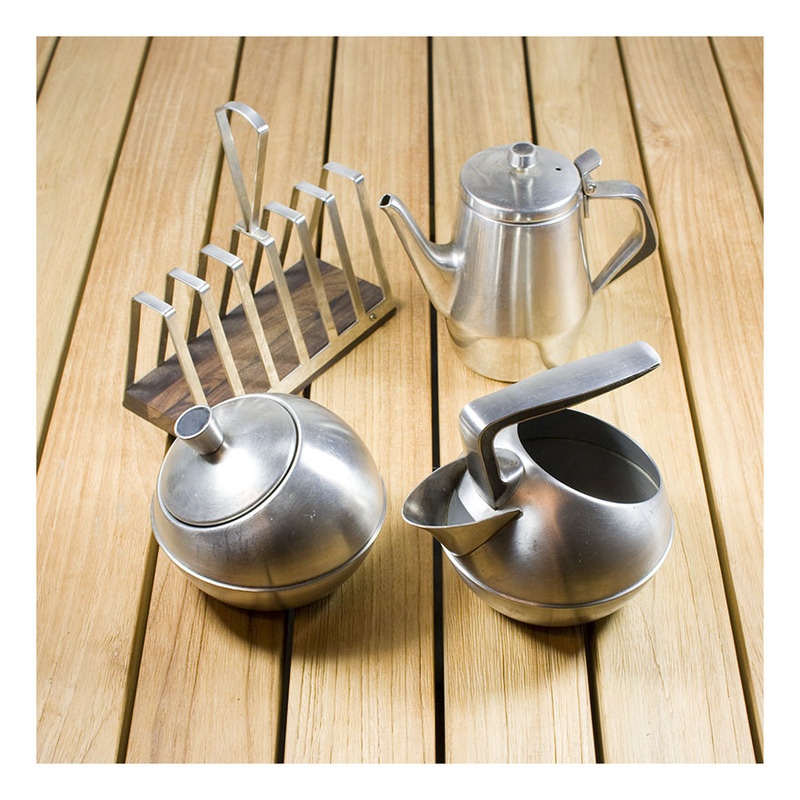 Likewise, I like the way teak has been incorporated into the other stainless steel pieces- in the knobs of the sugar bowl and teapot and along the linear handles of the milk jug & teapot. The front two pieces are a set- sugar bowl and milk jug, made by Talamon Ware, designed in Hong Kong. Fantastic funky asymmetrical lids sit in their spherical frames. The teapot -for one- is unmarked. It rounds out the breakfast set nicely.